"This is our second time hiring Ground Effects for a large and complex project. Josh and his crew are a credit to their craft. We highly recommend Ground Effects to anyone seeking professional landscaping construction services." Let Ground Effects light up your life and property! 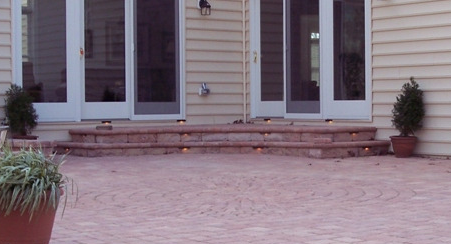 Landscape lighting highlights your beautifully groomed yard, impressive stonework, garden or patio by day and by night. Ground Effects helps you select the right lighting for your home or business, affordably. Garden lighting creates comfort and security all year long, and creates and extends the beauty of your landscape 24 hours a day. Adding just a few landscape lighting fixtures around your garden, patio, pool or deck enhances the true beauty of your surroundings, bring them to life and give them a new focus and dimension. And adds security to your property. 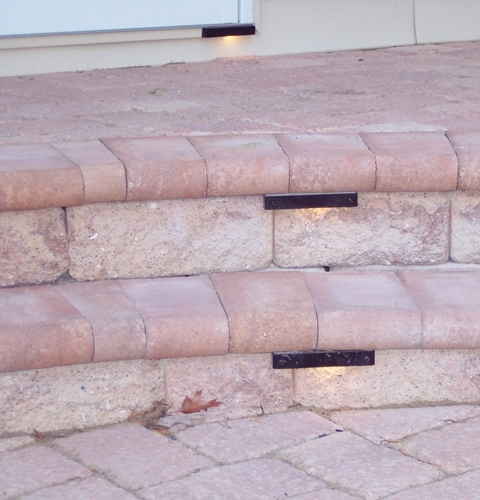 Ground Effects help customers select the best lighting enhancements for their property. Ground Effects licensed professionals wire and install all types of lighting, including in-paver lights, retaining wall lights, business, home and landscape lights, freestanding lamp posts, lanterns and lighted pillars.